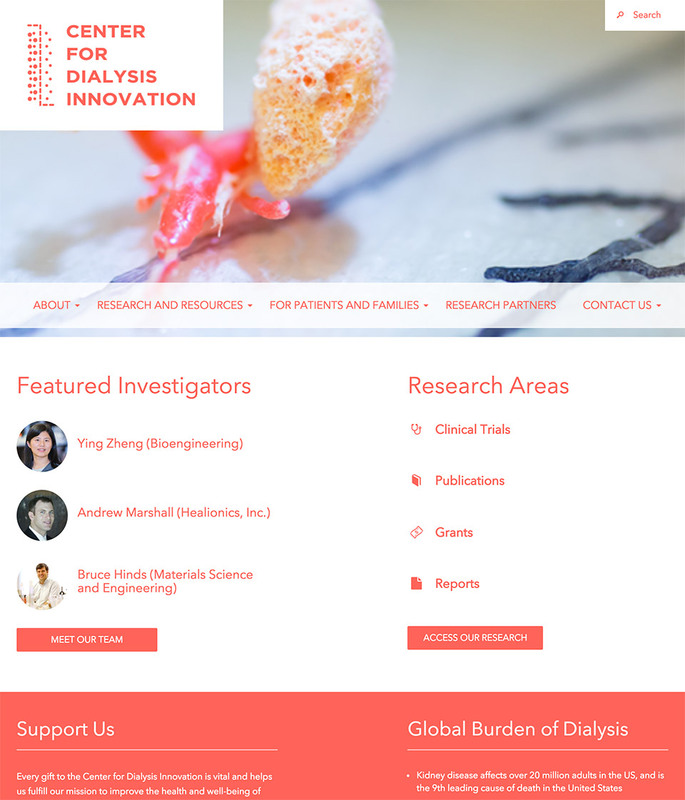 The mission of the Center for Dialysis Innovation is to improve the health and well-being of people with advanced kidney disease initiating and receiving dialysis treatment. The vision for the Center for Dialysis Innovation is that future dialysis therapy will be complication free, and completely restorative of kidney health. Our work with the Center for Dialysis Innovation is a continuation of our partnership with research institutes and universities. Working with key researchers and university administrators, Social Ink built CDI’s new site from the ground up. 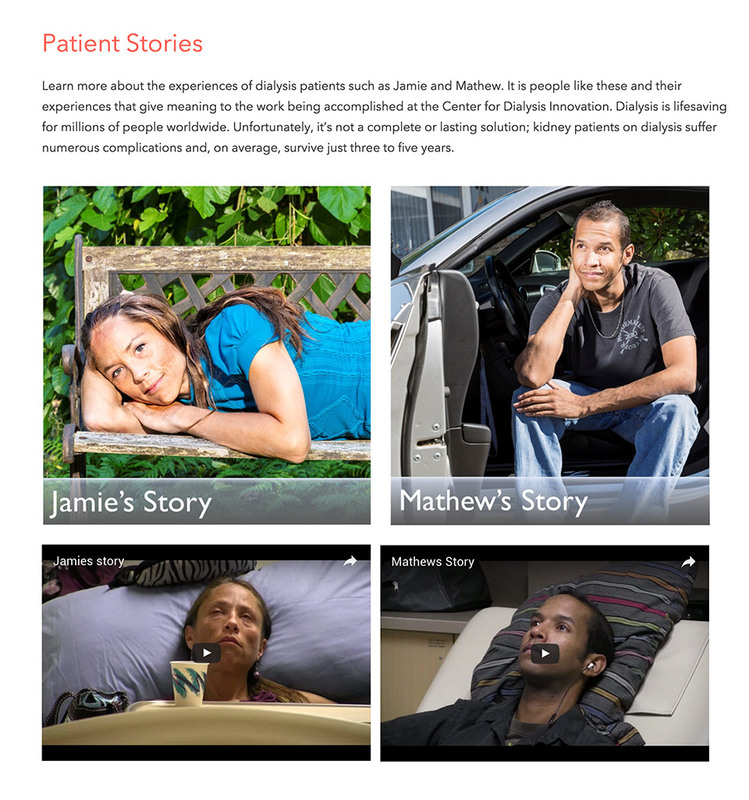 The new web platform features filtering for the center’s publications, reports, and clinical trial studies and a multimedia portal for patient’s compelling stories. The site is responsive and mobile across several browsers, screens, tablets, and phones. 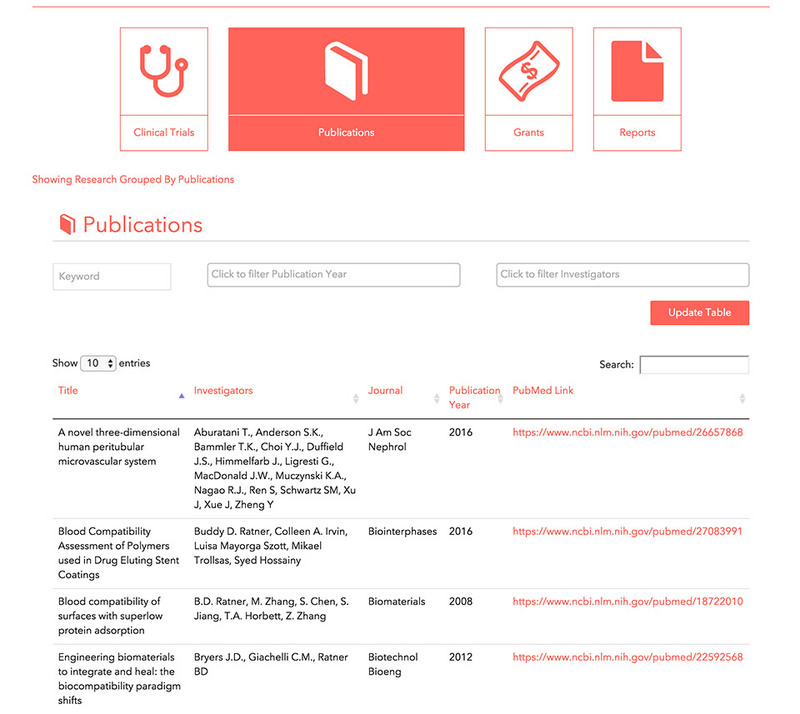 We’re thrilled to have completed this project with CDI and look forward to more work on websites for researchers and universities.